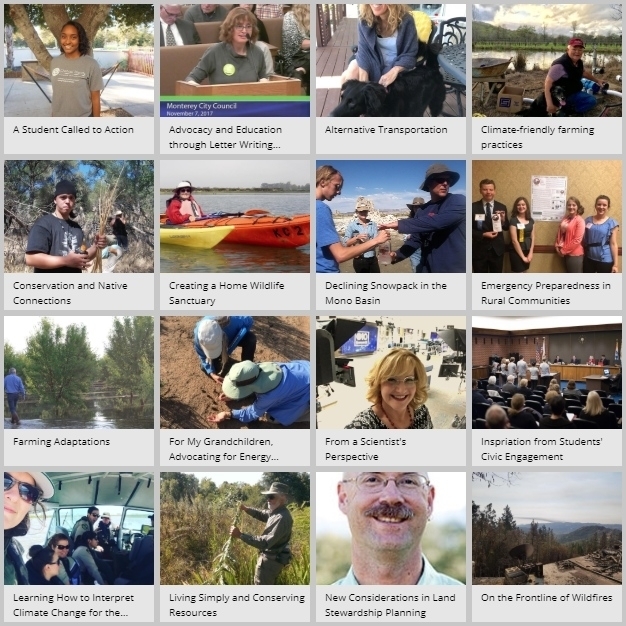 IGIS and the California Naturalist Program are pleased to help celebrate the launch of a new information portal on climate adaptation. The California Adaptation Clearinghouse was officially launched at the California Adaptation Forum in August in Sacramento. 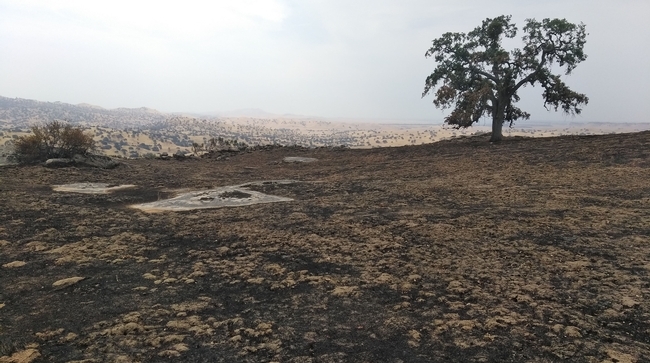 The site was developed by the Governor's Office of Planning and Research (OPR) in collaboration with the UC Berkeley Geospatial Innovation Facility, CalNat and IGIS. Climate change is one of the greatest challenges facing farmers, natural resource managers and communities in California. 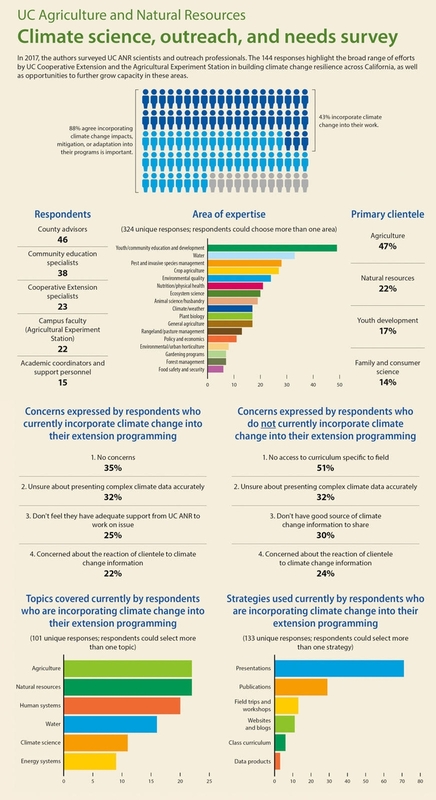 On Jan. 23-24, the Climate Change Program Team will hold the Integrating Climate Change in California Cooperative Extension Programs Workshop at UC Merced. “It's open to all ANR academics and program staff who are interested in the topic,” said Ted Grantham, UC Cooperative Extension specialist in the Department of Environmental Science, Policy, and Management at UC Berkeley. “This meeting will bring together ANR academics and programmatic staff to strengthen interdisciplinary collaborations and enhance the capacity of UC Cooperative Extension to advance climate-change mitigation and adaptation efforts in California,” he said. The day-and-a-half-long workshop will include updates on the latest science on climate impacts and sessions that focus on disaster preparedness and response, climate science communication, and climate-smart agriculture. The workshop will also include interactive dialog to identify priorities for enhancing the visibility, relevance and impact of ANR's climate-change research and extension programs. In breakout sessions, participants will discuss wildfire hazard mitigation, environmental education and citizen science, building climate resilience with tribes and vulnerable communities, environmental horticulture and more. To register and view the draft agenda, visit https://ucanr.edu/sites/CalClimateChange/2019_Workshop. The University of California, in partnership with Vox media, has launched Climate Lab – a new six-part video series on climate change. Hosted by conservation scientist and UCLA Visiting Researcher M. Sanjayan, the videos explore the surprising elements of our lifestyle that can contribute to climate change and the groundbreaking work being done to mitigate its effects. The series aims to take the overwhelming subject of climate change and break it down into manageable topics to inspire viewers to transform the planet. The videos discuss everything from clean energy to food, and from religion to smartphones, through interviews with experts, scientists, thought leaders and activists, including many researchers and experts in our UC community. 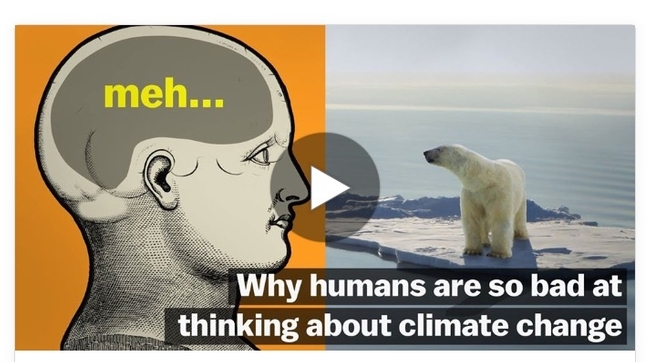 The first two videos, "Why humans are so bad at thinking about climate change” and “Going green shouldn't be this hard,” can be viewed at climate.universityofcalifornia.edu. Future videos in the series will be released each Wednesday at 6 a.m. through May 24 and will be available on UC's Climate Lab website (climate.universityofcalifornia.edu). This project builds on the UC system's ongoing commitment to address climate change. At a time when the importance of robust and sustained funding for climate change research is being debated on a national level, it's more important than ever to invest in ambitious research about issues important to our state and nation's economic health, prosperity and innovation and to communicate about it in a way that's fact-driven as well as relevant and engaging. In 2013, President Janet Napolitano launched the Carbon Neutrality Initiative, establishing a systemwide goal of UC becoming carbon neutral by 2025. To date, energy efficiency measures and clean energy projects implemented across the UC system have generated savings of $28 million per year. You can help spread UC's messages about climate change by sharing the videos on blogs, social media, websites or by email. If you follow UC's Facebook (facebook.com/universityofcalifornia) or Twitter (twitter.com/uofcalifornia) accounts, you can see and share the videos directly as they release. Or you can draft you own posts directing folks to climate.universityofcalifornia.edu – sample Facebook posts and tweets are below if you would like to modify them for your use. The University of California has put together an amazing video project on climate change. Check it out at climate.universityofcalifornia.edu.